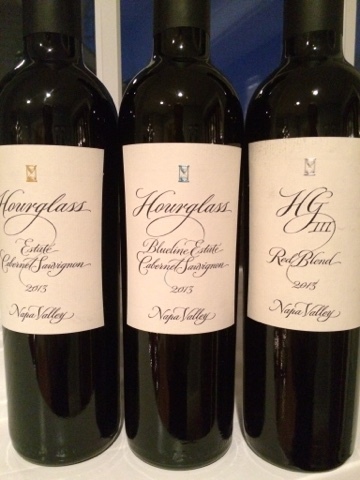 Winethropology: Hourglass: Santa Claus, Please? 2013 is the third vintage I've sampled from this Napa Valley winery. This year is a particular pleasure because it marks a departure both stylistically and substantively from the previous two vintages - decidedly for the better. - and not just a little. 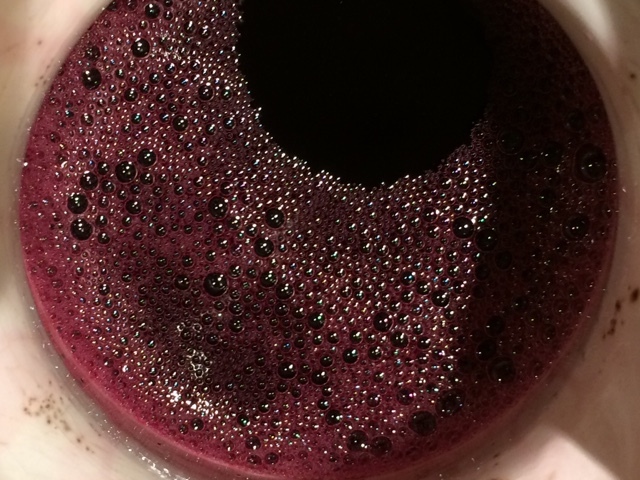 There has been a trend of late in Napa Valley to reign wines in in an effort to tone down the alcohol, density, and power - of cabernet in particular. As with any trend, taken too far, this can result in too much, too far, too quickly. Whereas the norm in Napa a decade ago was powerhouse sledgehammers, too many wines treated with this approach have been thin, insipid, and overpriced. But in 2013, Hourglass seems to have tuned the knobs to just the right levels of calibration. Details on each of these three wines follows, but as a general statement, I am surprised and very pleased at the accessibility and elegance of each of them. It has been a long time since I've been so seduced by a wine from Napa as I have by each of these. In case Santa Claus is reading, I've been a very good boy this year and any/all of these would make terrific stocking stuffers! Bravo to winemaker Tony Biagi and the team. Boy, there's just a lot of comfort and refinement in this glass. At once both finely tailored and as familiar as a favorite old sweater, this blend stops (barely) short of opulence while hinting at its potential to evolve with a few years in the cellar. Tuxedo or jeans, diamonds or rhinestones, this versatile red is the bomb. Boom! This is what put Napa on the world map. Confident grace and a purposeful strut carry the almost black, inky weight easily. Tannins are vigorous, but powder-fine. Magnificent. Take the estate cab (above), wrap it in Versace, sprinkle Harry Winston on it, deliver it by Gulfstream, and you've got this wine. With less to prove, subtleties have the space to emerge in mesmerizing layers: delicate green herbs, dried black fruit, and gentle hints of dusty winter spice. Outstanding.